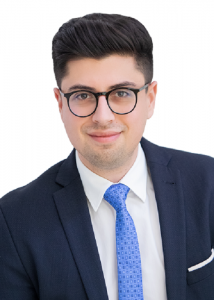 Marco joined FCF as an analyst in January 2019 and supports the team in equity and debt advisory transactions. Marco graduated with a bachelor’s degree in business administration from the LMU in Munich. His major study focus was on accounting and finance. After his bachelor studies, he completed an internship at PwC AG in Munich in the audit service line. Marco gained also first working experience in corporate finance at ACXIT Capital Partners in Frankfurt am Main. Later, he received his master’s degree in Finance & Management from the University of St. Andrews in Scotland.